Meet your new four legged best friend, Roxy Girl. 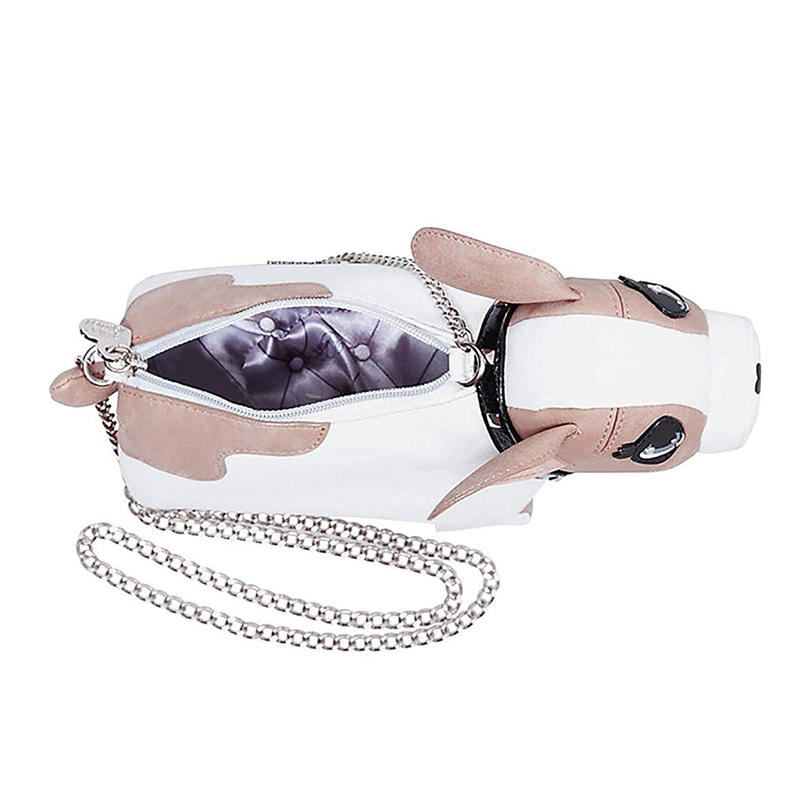 This sweet bag by Betsey Johnsson features a charming little pup silhouette with a silver crossbody chain. 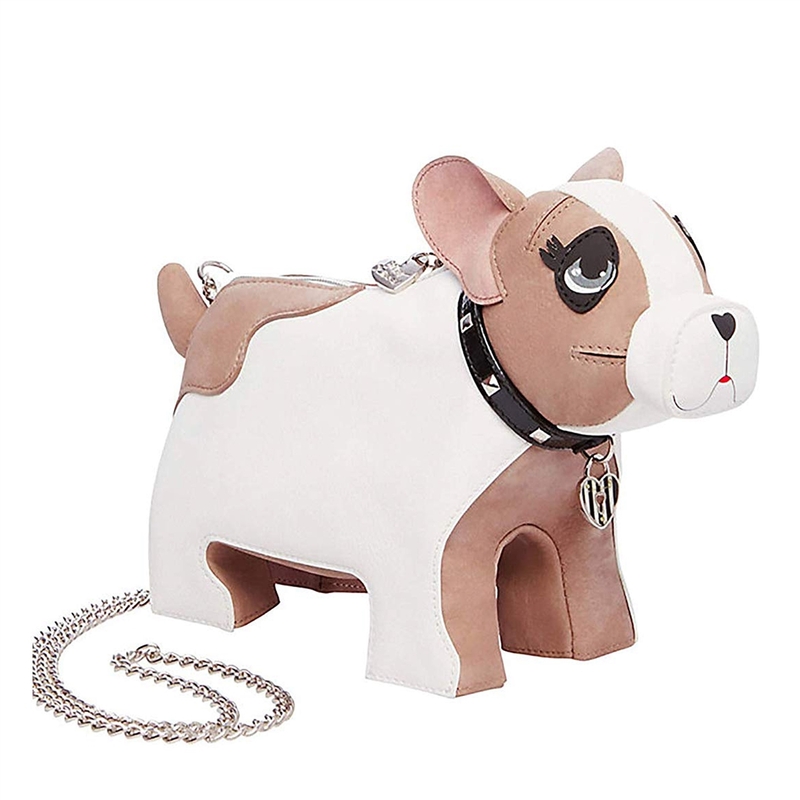 This cute bag will add a quirky touch to any outfit. Crossbody bag shaped in a dog motif in synthetic leather. Features a a spiked collar and heart tag. Back logo plaque. Chain accented strap w 20" drop. Zip closure. Lined with zip and slip pockets.